Mr Steel, Covenanter in the reign of Charles II, grandfather of Helen Steel. 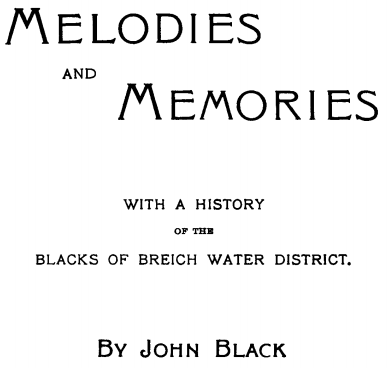 [S-1643032318] Melodies and Memories with a history of the Blacks of Breich Water District, John Black, (Glasgow A. M'Laren & Son). John, second Liltie-co-kee son, who represents the second generation of Breicb Water Blacks. His wife was Helen Steel, of Turnhigh, her grandfather having. been a proscribed Covenanter in the reign of Charles II.